Not even a hint of a foul. Referee Srđan Obradović awarded a penalty for no discernible reason during Spartak Subotica’s 2-0 win over Radnički Niš in the Serbian SuperLiga. 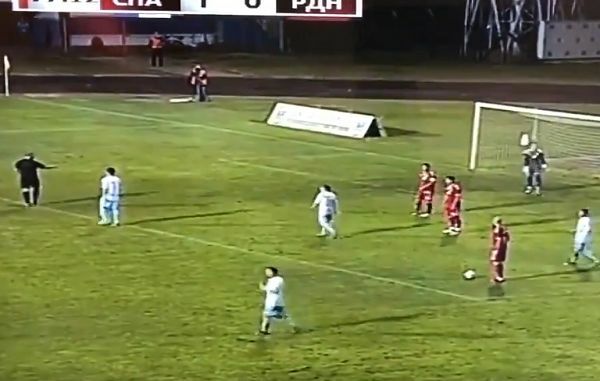 It wasn’t even the only penalty he gave Subotica on the day, Nemanja Nikolić scoring twice from the spot in the playoff to decide Europa League qualification. There isn’t so much as a hint of a foul in the passage of play featured in this clip, and one Twitter user claimed that Obradović refused to justify his decision after the game.